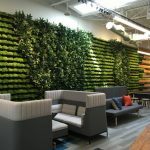 Charlie Grantham explores why we need to change how we approach workplace design and move from cost-based measures of building performance to more human-centric behavioral measure of wellness and wellbeing. How can the workplace support the well-being of its occupants? Jennifer Walton, principal at H. Hendy Associates, provides seven common-sense wellness strategies that boost can the overall health of employees. Kate Lister breaks down the impact of the workplace on well-being and the steps to take to create a culture of well-being. When Stash Investments LLC, a FinTech company, outgrew its former space, it tasked Knotel with the challenge of creating a scalable space that reflected its culture and branding. How Can Workplace Design Improve Our Emotional Safety? Author and workplace design specialist, Leigh Stringer outlines important strategies that can be implemented to support emotional safety of not only abuse victims, but all employees as well. Retail Design Collaborative and Studio One Eleven’s new Long Beach offices have revitalized the surrounding neighborhood, acting as a hub for community engagement. WRNS Studio has retrofit a vacant warehouse, originally built in 1976, into an energy-efficient workplace with a focus on employee wellness. We asked our friends at PLASTARC to share their top predictions for the workplace in 2018 and beyond. Check out what they had to say! Pinnacle Architectural Lighting’s LiFT, designed with clean lines and harmonious proportions, gives the ability to create clusters of light.